It used to be a green glass wine bottle. Most likely, she’d use it for sunflower oil, so this napkin suggested itself to me. That’s the first time I covered it with white paint. I had to repaint it at least 3 times. Here is a decoupage tip #1: Apply some spirit based window cleaner to the bottle, after you wash it. This will remove all the fat off it. Then you paint would get stuck better to it. When it dried up, I cut out my napkin pattern. Here is how I apply it to the bottle. 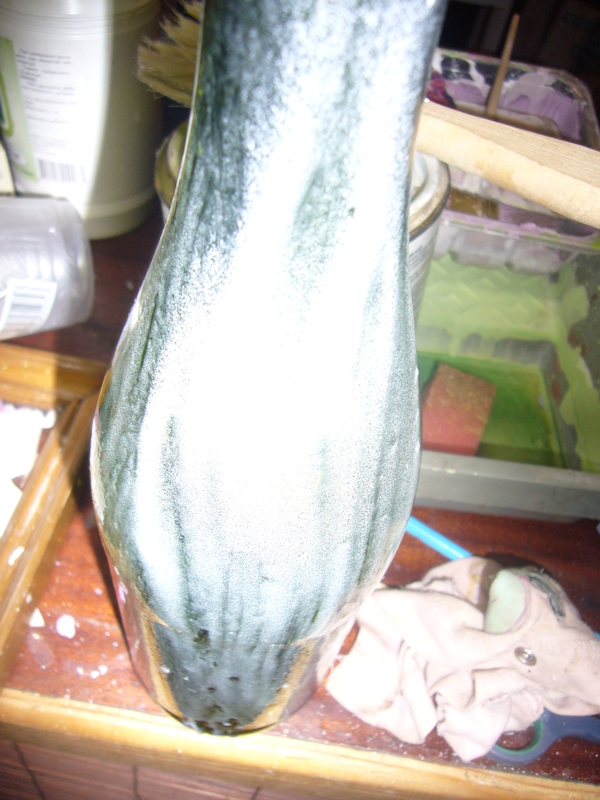 Decoupage how to tip #2: I apply transparent polish very sparingly to the bottle, then I apply the napkin. It does not get soaked up with the polish and does not wrinkle much. When you adjust it nicely, put more polish on. I also polished it several times and put polish on the top of paint. 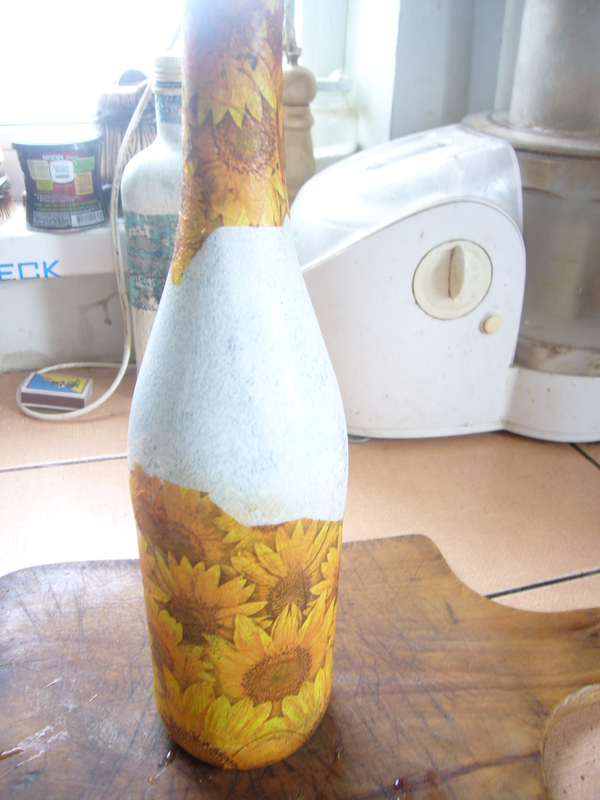 That is a quick glass bottle decoupage how to. This entry was posted in Uncategorized and tagged bottle decoupage, crafts, decoupage, decoupage tips, glass bottle decoupage, glass bottle decoupage how to. Bookmark the permalink.